This is one of the most high energy grand entrances I ever photographed at a bar mitzvah. I love his confidence, enthusiasm and energy. That's his father giving him a high five. 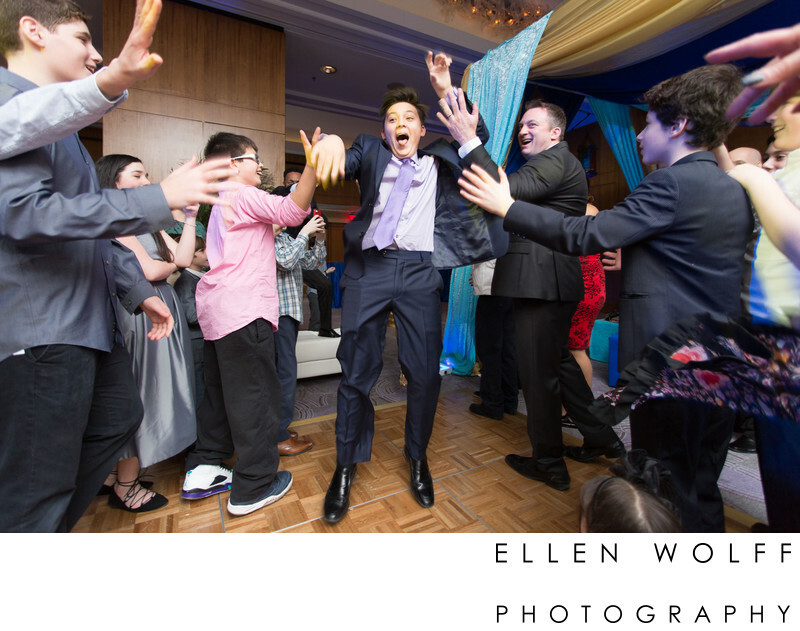 This moment is a good illustration of why it is important to hire a professional photographer to capture your Bar Mitzvah. A snap shooter is most likely going to miss this and focus only on posed grip and grins on the dance floor. The main goal of a snap shooter is immediate gratification. Entertainment. My goal as the professional storyteller is for future generations of your family to remember you in moments like these. Location: 3 Renaissance Square, White Plains, NY 10601. Keywords: Bar Mitzvah (66), grand entrance (15), Ritz-Carlton New York (3).